For more with Cadillac Sky and other couch sessions, ... KXT In-Studio Performance - Cadillac Sky 10:29. Cadillac Sky - "I Will Follow You Into The Dark" 03:44. Cadillac Sky: "Hangman" Music Video. Added: May 28, 2010 (over 4 years ago) ... KXT In-Studio Performance - Cadillac Sky. July 16, 2010 (over 4 years ago) HD. 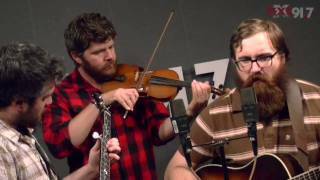 Cadillac Sky "Born Lonesome" ... KXT In-Studio Performance - Cadillac Sky. July 16, 2010 (over 4 years ago) HD. Author: kxtradio. Views: 16,693. Category: Music. 10:29.